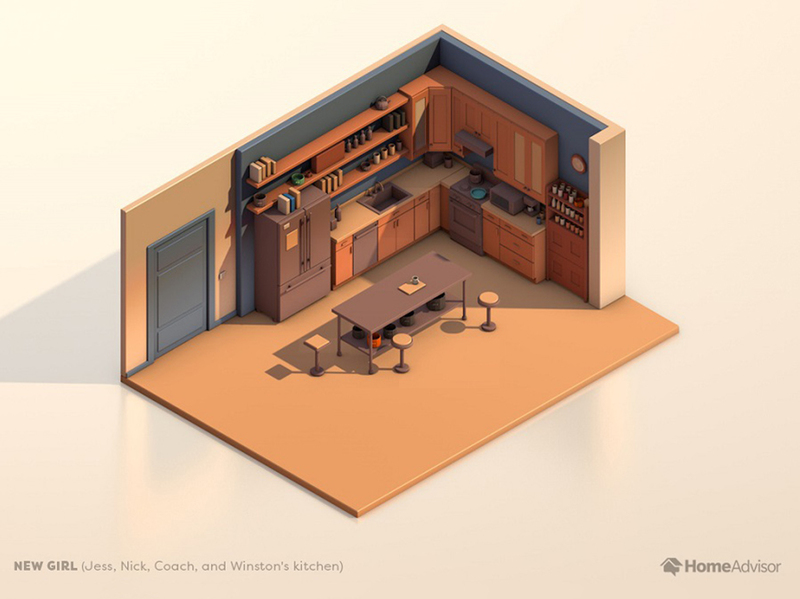 Home Advisor recreated TV kitchens to inspire your next home improvement project. One might say that kitchens are the heart of a home. Most simply and obviously a place for cooking, they can also be a source of creativity, comfort, and spending time with family. From the color we paint the walls to kinds of appliances on our countertops and the food we keep in our fridge, the kitchen space can say a lot about who we are. 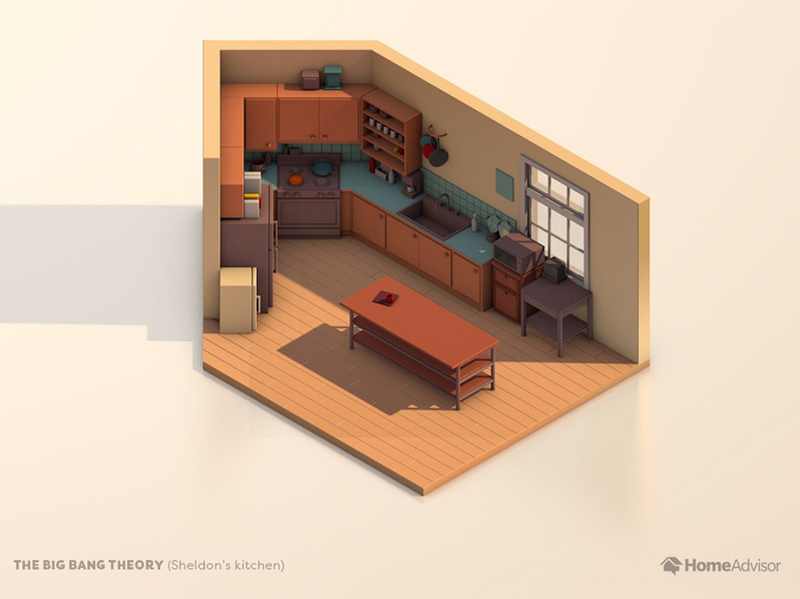 Knowing this, it’s not hard to understand why kitchens are the heart of several widely popular and critically-acclaimed TV series. 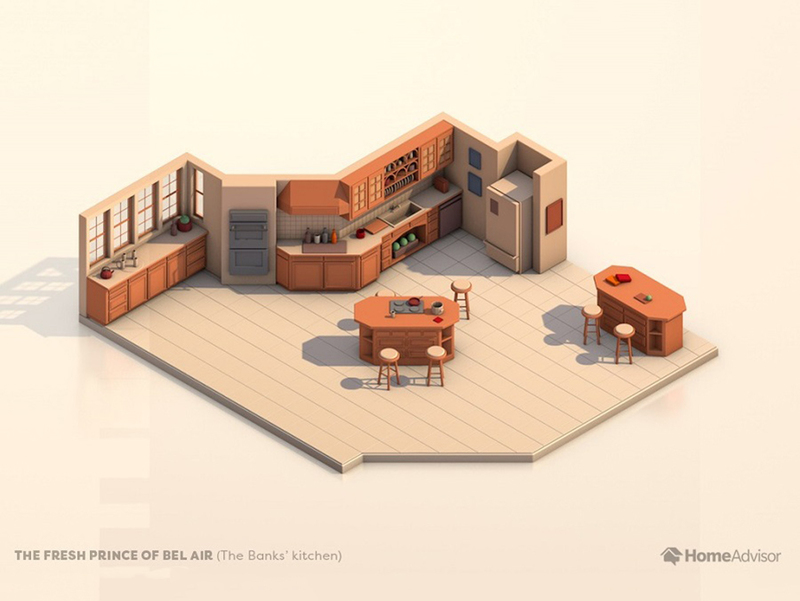 From The Fresh Prince of Bel-Air to The Handmaid’s Tale, kitchens have provided some of the most pivotal and iconic spaces on the small screen. 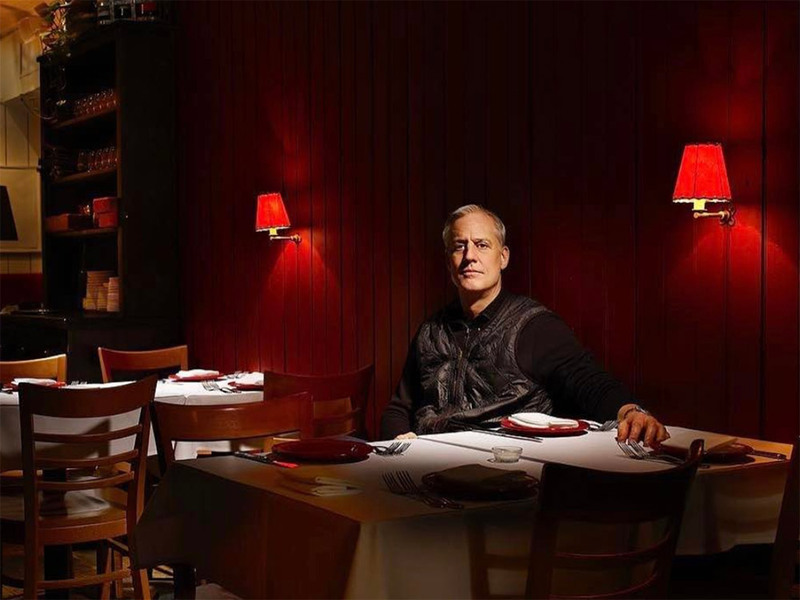 As a tribute to this, Home Advisor, a digital marketplace and portal for home renovations, has recreated several famous culinary and communal hubs. 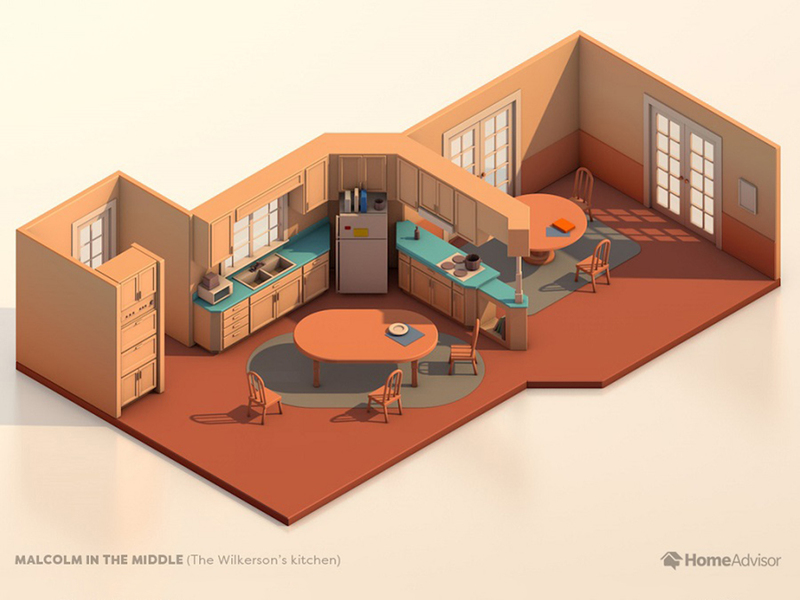 Each of the eight computer generated floor plans are a tribute to diversity of the kitchen, giving fans a little remodeling inspiration, as well as a means of exploring the history and variety of interior design trends. 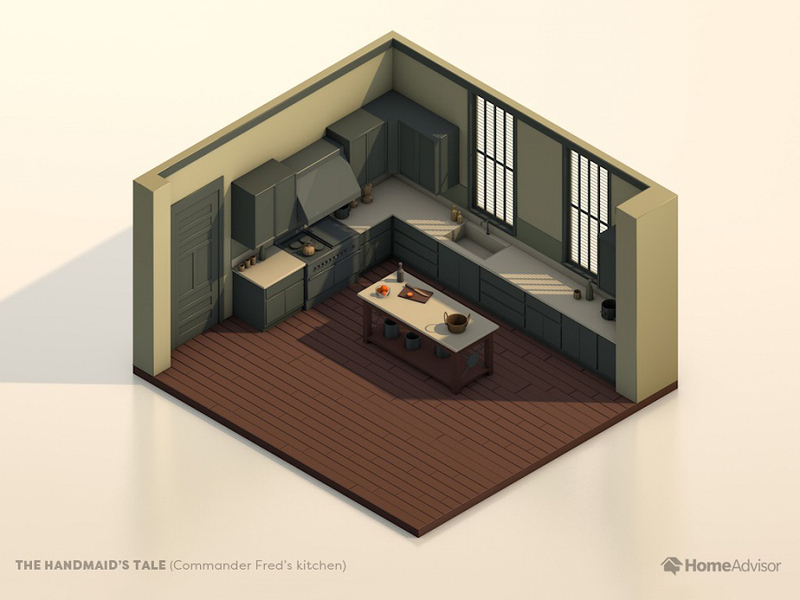 The site offers renderings for The Banks’ kitchen, a bright and roomy example of functionality from Will Smith’s ‘90s comedy Fresh Prince, as well as the dark and shadowy copper-laden cooking center of Commander Fred from Hulu’s Emmy-award winning The Handmaid’s Tale. 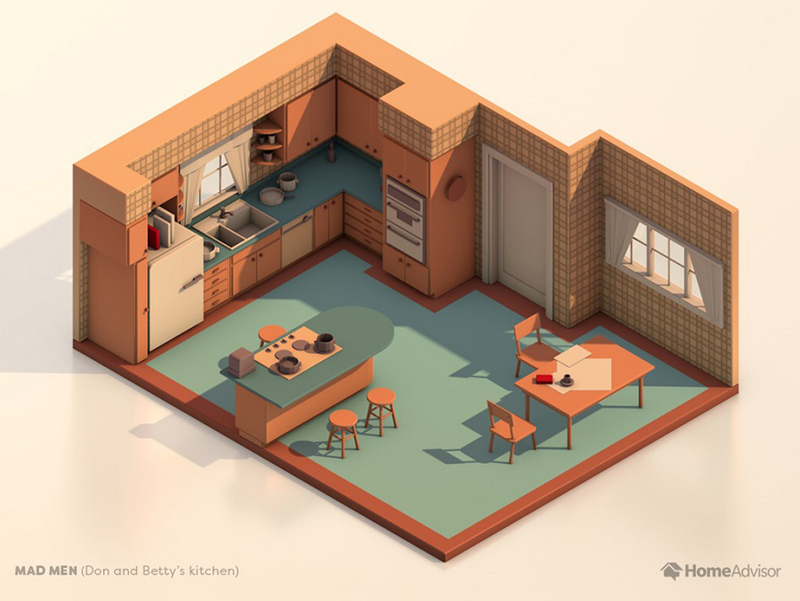 Other kitchens featured include Monica’s from Friends, Joyce’s from Stranger Things, Sheldon’s from The Big Bang Theory, The Wilkerson’s from Malcolm in the Middle, Don and Betty’s from Mad Men, and Jess’s from New Girl. If you’ve got kids and want a lot of counter space, Home Advisor suggests going with a plan much like that seen in the bickering family comedy Malcolm in the Middle. If you desire a more ‘80s look with neutral colors and wood fittings, a Stranger Things kitchen may be more up your alley. If you’re interested in going in a vintage direction with your appliances and kitchenware, a Mad Men-inspired kitchen is perfect. Meanwhile, those looking for how to make the best of a small space through a modern feel might lean towards a Big Bang Theory kitchen. 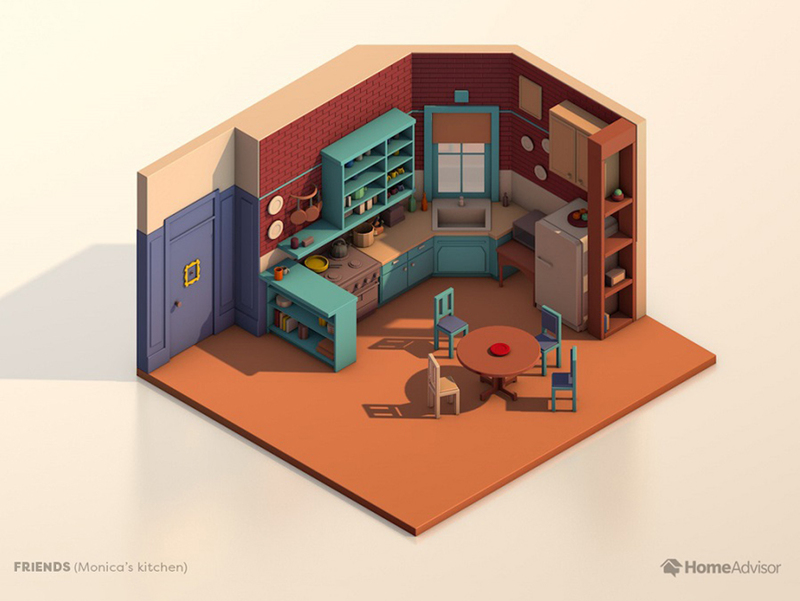 From apartments to homes, rural to city centers, large families to single young millennials, one of Home Advisor’s eight TV kitchen sketches probably has the answer for helping your find the perfect kitchen.